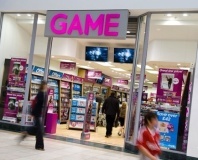 The UK's leading games retailer is to start selling music in 200 stores across the UK. 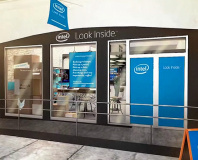 Scan invited us to visit its headquarters after opening its new retail store front. It has also nearly finished a warehouse expansion. Manhunt 2 to return as a downloadable? The controversial game which has been banned in the UK could be saved by a legal loophole it seems, which could see a downloadable version hitting consoles. 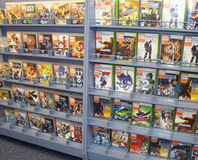 Game, who recently announced it would be opening a further 80 stores in 2007, has bought its closest rival in a £74m deal. Following the lead of the American store, Brits can expect to start downloading TV shows within the next few months. Apple has started selling episodes from popular TV series' on its iTunes store for $1.99 per episode. Apple creating $9.99 movie download store? Jobs is rallying Hollywood to create a movie store in the same vein as his music enterprise, the story goes. Want to use your iPod whilst working out? A new collaboration between the two massive brands turns your portable tunes machine into a personal trainer. According to the Wall Street Journal, online retailing giant Amazon has plans to take on iTunes with their own digital music store. Can anyone break Apple's grip on the market? The video store gets an upgrade, with content from NBC - as well as the previous content from ABC - now available. Good times! Half Life fans get further updates to the Steam client. Included - a new interface, and integration with the Valve store.